36th FESTIVAL FOR BULGARIAN FILMS "GOLDEN ROSE"
At the 36th edition of the National Festival for Bulgarian Films"Golden Rose" Varna 27.9-4.10.2018 the prize for the operatormastery received Kaloyan Bojilov for the film "AGA" director Milko Lazarov. ABO honored the award of Kaloyan Bozhilov and wished him new creative successes. On May 15 2018 at Rental Magic Shop a new shooting technique was introduced. The attending colleagues had the opportunity to personally test the presented technique. Thanks to Georgi Nikolov ABO, who organized and hosted the event. 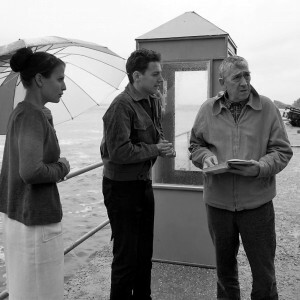 On March 29 during Sofia Film Fest, the film PIECES OF LOVE directed by Ivan Cherkelov will be shown. The copy is completely digitised and restored, which is being made for the first time in Bulgaria. The screening will be at 18.30 at the Cinema House, entrance free. The usual ABO Christmas meeting took place on 9 DecemberWe discussed current issues and a new member of the association was adopted. ABO says welcome to Hristo Genkov. 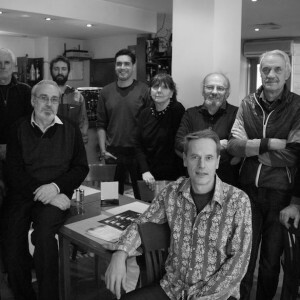 The meeting was attended by the US DoP Sandy Sissel ASC, who had run a DoP workshop in Sofia. In a pleasant and casual atmosphere she was awarded with honorary diploma for her contribution to the visual art of the young generation of Bulgarian cinematographers and for her artistic efforts in building up the world female art of cinematography. On 9th December in Odeon Cinema we saw a fully digitized and restored copy of the film PIECES OF LOVE with director Ivan CHERKELOV from 1989. This is the first Bulgarian film processed on the modern technologies for this process.The Bulgarian National Film and National Film Center supported the initiative, and the whole processing was done free of charge in Dolly Media Studio. We thank Dobromir Chochov and his team. Thanks also to the colleagues who embraced the idea and with their voluntary work helped to revive the film. The process was produced by Ars Digitale Studio-Ivan Tonev ABO and supervised by Rali Ralchev ABO. We hope that such a restoration will save the remaining thousands of films stored in the BNF and we alarm the responsible institutions. The 35th edition of the Golden Rose National Film Festival took place in Varna between September 30 and October 7, 2017. 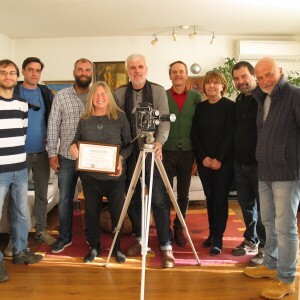 A joint session of the IAC (Italian Association of Cinematographers) and BAC (Bulgarian Association of Cinematographers) was held on 26, 27 and 28 July. The workshop on Skype, was held on the films of Italian, already graduated, students of film directing and cinematography. On the Bulgarian side, Krum Rodriguez, Alexander Stanishev, Emil Topuzov and Ivan Tonev took part. Оn official ceremony on June 26, 2017 at the Bulgarian Army Theater THE AWARDS OF THE BULGARIAN FILM ACADEMY 2017 were announced, broadcast directly on Channel 1 of the Bulgarian National Television. 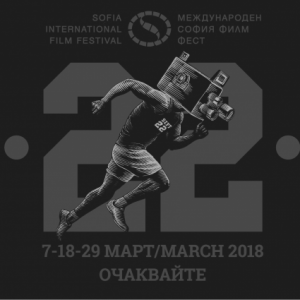 The prizes of the Bulgarian Film Academy 2017 competed: 9 feature films, 22 documentaries, 10 short films and 12 cartoons. 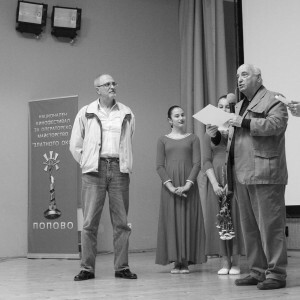 The Award for OPERATIONAL MAYOR received Svetla Ganeva ABO for the feature film "Memories of Fear"
Other nominations in the category “Cinematography”: Veselin Hristov ABO for "Singing Shoes" and "Clothes"; Krum Rodriguez ABO for Bezbog and Glory. ABO celebrated the award of Svetla Ganeva. A round table with topic "sustainable development of bulgarian film industry." 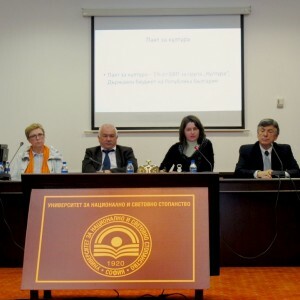 On the 4.04.2017 The University of National and World Economy in Sofia hosted a round table organized by the Center for Audiovisual Policy and Media Research,department "Media and Public Communications"in partnership with the Observatory of Cultural Economics,Association of Film Producers, Bulgarian Association of Cinematographers and Bulgarian Association of Film Directors. 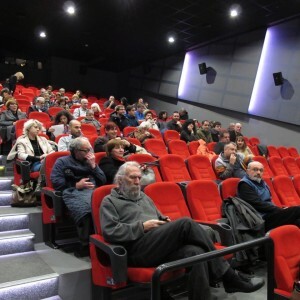 The main topic was "Sustainable development of Bulgarian film industry." There was a discussion regarding changes the law for Bulgarian film industry. The best cinematography award was given to the member of ABO and our talent colleague Krum Rodriguez for his work on films GODLESS and GLORY. We are happy to congratulate Krum Rodriguez and wish him new successes. 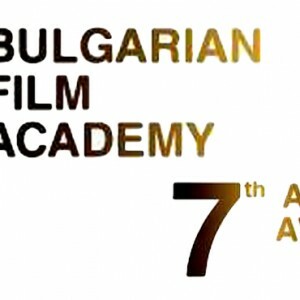 On 07/06/2016, the Bulgarian Film Academy awards ceremony took place in Sofia. 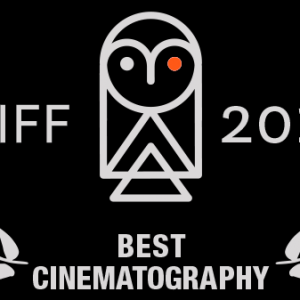 Rali Raichev received the award for best cinematography feature film for 2015 for movies FAMILY RELICS and THE PROSECUTOR, THE LAWYER THE FATHER AND HIS SON. 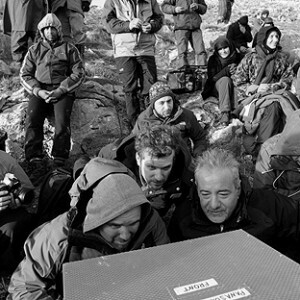 In the category of feature films DOP were nominated Emil Hristov for LOSERS and Veselin Hristov for THIRST. The award for best documentary DoP was given to Emil Topuzov for the film BOTEV - iIN THE SHADOW OF THE MONUMENT. The other nominees in the category are Veselin Hristov for THE KNOWN UNKNOWN and Emil Hristov for CAMBRIDGE. Award for Lifetime Achievement - to the great Bulgarian actor Vasil MihaylovAward for Lifetime Achievement was awarded to Konstantin Zankov - bright name in Bulgarian Cinematography schoolSpecial Diploma of the Jury is awarded to Nikolay Iliev - DoP of the documentary "Lights of circles"
Special Diploma of the Jury was awarded to Jaroslav Yatchev - DoP of the documentary "Vasil Gendov - Myth and Reality"
Special Diploma of the Jury was awarded to Ivan Kunchev - DoP of the short feature film "Beyond" Special Diploma of the Jury was awarded to Damian Dimitrov - DoP of the short feature film "White Elephants"Production company "MAGIC SHOP”’s award is given to Lily Staykova - DoP of the short feature film "Dante"Jury award is given to Martin Dimitrov - for the documentary "National House of Terror"
Award of the union of Bulgarian filmmakers is awarded to George Chelebiev - for creative solutions in the feature film "Buffer Zone"
Award for best debut is awarded to Kiril Palikarski for the movie "While Aya was sleeping" and to Boris Slavkov for the movie "Collector of corpses"
Special Prize of Popovo municipality is awarded to Nikolai Lazarov for the feature film "Joy and sadness of the body" for imaging solutions.First prize of Popovo municipality is awarded Rali Ralchev for the feature film "The prosecutor, the defender, the father and his son" for professionalism in Bulgarian cinema. The Grand Prix "Golden Eye" of the Popovo Municipality for bright style and artistry is given to Veselin Hristov for the feature film "Thirst"
ABO congratulates the winners colleagues and wishes them new creative successes. On 12.14.2015 held a traditional Christmas meeting of ABO. In an informal setting we discussed current issues of the association and accepted new members.Welcome to our new members Julian Atanassov, Veselin Hristov and Itay Gross. 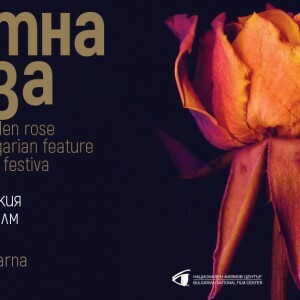 At this year's annual "Golden Rose" festival in Varna Veselin Hristov won cinematography award for the film "Thirst" by Svetla Tsotsorkova. At this year's annual "Golden Rose" festival in Varna Veselin Hristov won cinematography award for the film "Thirst" by Svetla Tsotsorkova. The jury's motivation was "the masterful work with light and visual solutions that create a feeling of drought in the environment and the people. We congratulate Veselin Hristov and wish him further professional successes. Krasimir Andonov won again - this time the Bulgarian Film Academy 2015 award for cinematographer for the film "The court” by Stephan Komandarev. The other nominations was Krum Rodriguez for "Victoria" and "Lesson" and Tsvetan Nedkov for “The Frontier" Congratulations to all colleagues! BAC is pleased to congratulate the award of operator Krasimir Andonov! 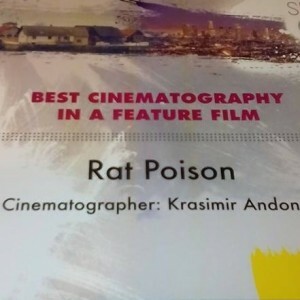 He won the award for best cinematography SEE fest Film Festival in Los Angeles for the movie "rat poison" directed by Konstantin Burov. The film already has a "Golden Rose" for paltometrazhen debut.